About 10 years ago, Shinichi Ichikawa, a member of The Television and Radio Writers’ Association (TRWA) from Japan, and Shin Hyun-taek, a member of Korea Foundation for International Culture Exchange (KOFICE) cofounded ATDC for the common purpose of developing Asia as the center of cultural content industry aiming for it to be bigger than that of Hollywood. Each of the East Asian countries have taken turns hosting the conference since 2006. The conference has been a substantial success so far. At the 3rd ATDC, 7 Korean TV dramas were produced based on scripts written by a Japanese scriptwriter. Also, after the 7th ATDC, Thai TV produced and broadcast a TV drama called "Kol Kimono:きもの秘伝," which was filmed in Kitakyushu and Saga. The visa relaxation resulted in the number of Thai tourists in the aforementioned two locations to double after the series was aired in Thailand*. After the 10th ATDC, another TV drama called "Once upon a time" was filmed, again in Kitakyushu. After its broadcast in summer 2016, the number of tourists are expected to continually increase. *The number of the visitors from Thailand to Kyushu between January to July 2015 increased by 101 % compared to the previous year (17,760 → 35,699) while the number of visitors from Thailand to Japan increased by 27.3 %. (373,481 → 475,500). Shinichi Ichikawa was born in Isahaya city, Nagasaki on April 17, 1941. After graduating from Nihon University College of Art, he wrote a drama script for "Kaiju Booska(快獣ブースカ)" in 1966 and made his debut as a scriptwriter. Working on TV dramas for children represented by The Ultra Series, he brought out a series of big hits such as "Kizudarake no tenshi(傷だらけの天使)," "Samishinowa omaedake janai(淋しいのはおまえだけじゃない),"　and the long-running historical TV series on NHK including "Ogon no hibi(黄金の日日)," "Yamaga moyu(山河燃ゆ)," and "Hana no ran(花の乱),". In addition, he worked on a lot of activities to raise a social awareness of scriptwriters as a valuable occupation. He dedicated his life to founding the ATDC with Shin Hyun-taek, a member of the Korea Foundation for International Culture Exchange (KOFICE), in order to create valuable TV dramas that attract the entire region of Asia through the interaction among Asian TV Drama writers. 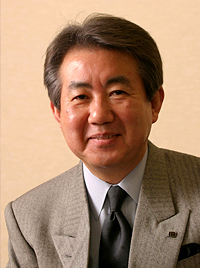 He served not only as the president of The Television and Radio Writers’ Association (TRWA) for a long time, but also as a member of The Central Council for Education of MEXT and the committee of the National Cultural Festival and as the honorary director of The Nagasaki Museum of History and Culture. He passed away at the age of 70, on December 10, 2011. ATDC initally focused on Japan, Korea, and China, as they are the three largest broadcasting markets in Asia. From there, it is extending its reach to the remaining Asian countries and contributes to the development of cultural content of its industry through strengthened networks and interactions between Asian drama writers and producers. ATDC forms the basis of the Asian cooperative production that can compete in the world by utilizing common Asian creativity and cultural similarities. Through the presentations and discussions by the writers and producers form the 6 leading Asian countries, ATDC promotes a better understanding of cultural similarities and differences between the countries and provides opportunities for Asian countries to be united via TV dramas. ATDC strengthens the introduction of future TV drama content, co-productions, investment promotions, and the import of overseas content by inviting not only writers but also TV drama producers to the conference. In addition to the conference, ATDC provides opportunities for popular TV drama writers and producers from Asian countries to interact with each other (welcome and farewell receptions and matching filming locations) so that they can practically develop their ideas on their new projects. ATDC also proposes filming locations by taking participants on matching tours mainly in Kyushu, in the host country of Japan, , to introduce the tourism infrastructures such as scenic spots and historical sites. © 2016 Kyushu Associations of Independent Entrepreneurs.